Most savvy marketers, nowadays, in their bid to “think outside the box” tend to go for the newer or fresher take to communicating and marketing to their audiences. That includes all the new options to social media ads, live streaming or live videos, etc. However sometimes, in our desire to keep up with the growing advances in technology, we tend to neglect what’s tried and tested and obviously still thriving with it’s own growing advances. Sure, there are a lot more ways to communicate to your market. New ways that the young crowd find more interesting than email. But the thing is, email still remains to be one of the biggest and most effective mediums for marketing and sales communications. With the biggest reason is it’s “owned media”. With various service providers available other than the well-known Google and Yahoo email services, it’s no question that email is still a valuable tool to marketers. While email marketing is still a powerful marketing tool, the fact of the matter is that the competition is growing, and so is the wide array of tools that make the process of email marketing more efficient and effective. Actionetics is ClickFunnels‘ marketing automation platform that seamlessly integrates with your sales funnel to give them dynamic automation actions on the fly. Actionetics boasts not only of the ability to create and send autoresponder emails, but is smart enough to be able to be able to bucket, react and act based on action funnels setup. What this means is that a seamless connection between your funnels and your marketing communications is made possible by having Actionetics as a marketing automation tool. Imagine not having to subscribe to other email automation services which will, in turn, let you do away with daunting tasks such as importing contacts collected from your funnels to your 3rd party email tool, segmenting your email lists separately, or trying to integrate your 3rd party tool into your sales funnel tool. These daunting tasks cuts your efficiency and time in half – time you can appropriate to more pressing and important marketing and sales processes. The best thing about Actionetics is that it works seamlessly with ClickFunnels with it being a built-in platform. What this means for marketers is that they have the opportunity of getting rid of other marketing automation tools and simply upgrade their ClickFunnels subscription to acquire Actionetics and the fantastic features along with it. 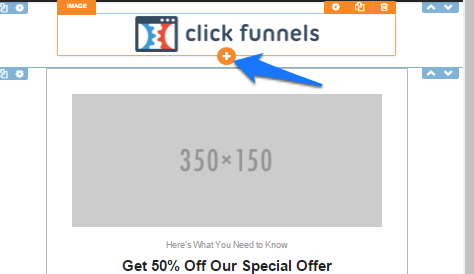 Why is being natively integrated with ClickFunnels cool? Well consider being able to communicate and engage with your prospects and customers through your pages and funnels all at the same time. You can take your engagement with your customer to a whole new level. Actionetics‘ boasts of a user-friendly User Interface (UI) that even beginners will find it easy to use. Users who aren’t tech savvy will still find Actionetics a walk in the park with the ClickFunnels‘ helpful guides and their support is always on standby to answer any queries. One of the best parts of Actionetics is the power in its simplicity. Being able to build complex automations in Actionetics while also being able to learn the system easily and quickly. For a premium service, Actionetics is generally affordable. With ClickFunnels alone, you can get it at $97/month. But if you choose to upgrade for $297/month, you get the whole suite of tools which includes Actionetics plus Backpack which is ClickFunnels‘ very own affiliate marketing management tool. Both of these tools work complementary to ClickFunnels. Actionetics cannot be purchased separately or without Backpack. With just $297/month you get ClickFunnels‘ full suite packed with great features to gear you up and help you put your sales funnel marketing into a whole new dimension. 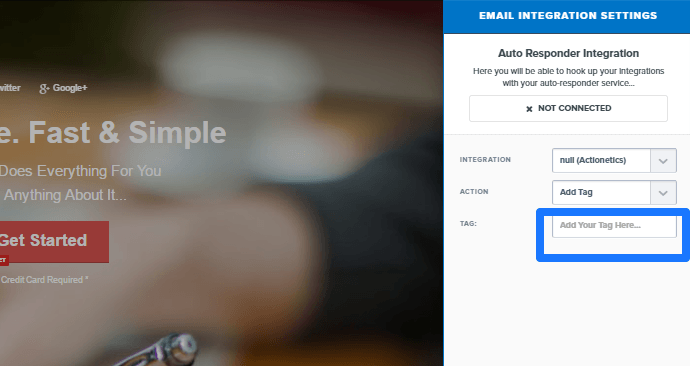 What makes Actionetics stand out among the rest of the email automation tools is that it not only lets you create auto-responders and broadcast emails, but it also lets you integrate with a suite of tools to customize the journey a customer or subscriber takes in your funnel on the fly. What do we mean by this exactly? Well your funnel becomes smart enough to sort people as they make different decisions through your funnel. Add to that the ability to study and analyze your customers based on their social media preferences, their behaviours on your funnels, their purchases through your funnels, etc and you’ve got a chest full of information to let you create marketing content aimed to target customers based on their needs and activities. As the marketing industry moves more and more towards segmentation, Actionetics is right down your alley. If you’re already familiar with Actionetics, then this will serve as a refresher. But if you’re still new to Actionetics or you just want to know more about the features before buying in, then you’re in the right place. We’ll be discussing all there is to know about Actionetics and its features. The Contacts Page is the first in line on the dropdown menu when you hover your cursor over the Actionetics menu. 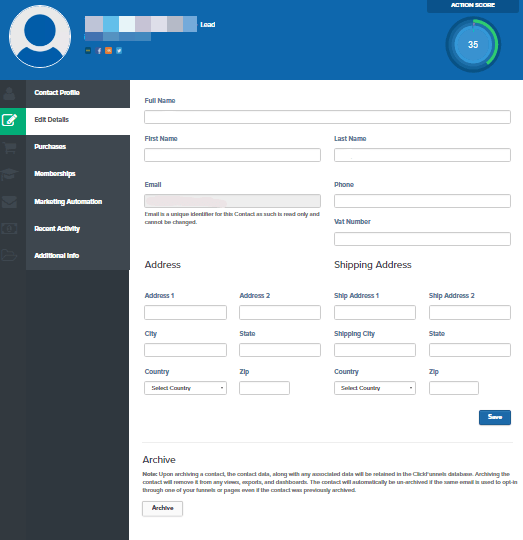 The Contacts Page displays all the contacts who signed up to all your funnels in Actionetics. Most prominent of the elements in the dashboard (aside from the contacts, of course) is the brief insights that lets you in on the number of contacts you have, the new contacts acquired and the number of unsubscribes. This area is where users can import already existing contacts via the Import Contacts function. What’s more, they can also download the contacts saved on Actionetics through the Download Contacts function. The Contacts Dashboard also lets users customize the viewing options which enables you to view other contact information at first glance. This information includes Action Score, Age, Gender, etc. Simply tick the boxes of the information you want to be displayed on the dropdown menu. Next up on the Contacts Dashboard, you will see that you can view the profiles of each individual contact saved on Actionetics. This section shows all you need to know about your contacts. This section, though you may find it negligible now (which I did at first), is a source of valuable data you can use to learn more about your customers and enable you to create effective targeted marketing. The Contact Profile Dashboard shows you the general information of a particular contact, their business history with your funnels and tags added to their profiles according to their behaviour through your funnels. It is very important to note that with the addition of Tags into their profile, you are enabled to create and send hyper-targeted marketing messages according to a specific behaviour in your funnel. This is virtually a new feature, launched only December of last year, as I have noticed Actionetics didn’t have this feature previously. It was, actually, something I wished it had to enable further targeting so having added tags to Actionetics was a very pleasant surprise. To enable tags in your funnels, all you have to do is Go to your funnel > choose whichever funnel step or steps you want to integrate tags to > Settings Integrations. The next thing to do is to have these tags act as filters in your action funnel (more on this later). Select Integration. In this case, it’s Actionetics. Select action – Add Tag. Note: You can also add the action “Remove Tag” as well. Add the name of the tag. Save. The most obvious thing you would notice upon viewing a contact’s profile page would be the Action Score. The Action Score rates a contact’s current value to your business according to recency, frequency, monetary value, and social scores. What this means is that it allows you insights on your contact’s online behaviour, thereby allowing you to know where to engage, how to engage them and what to do to engage them. To be able to view your contact’s action score, all you need to do is to hover your cursor over the Action Score display and focus your cursor on the markers in the display OR, to make it easier, simply refer to the Action Score report just above the Business History list. This section allows you to edit your contact’s details such as the full name, first name, last name, phone number, shipping address, etc. This section is also where you will find the Archive settings which allows you to archive a contact. The Purchases section lets you in on your contact’s shopping activities in your funnels for the last 30 days. You can also manually add products to allow your contacts access. As you can see, this contact hasn’t made any purchases over the last 30 days. The memberships section displays which membership funnels your contact has signed up to. This section shows which email lists, broadcasts and action funnels your contact belongs to. This section shows you the date where your contact has visited a particular page of your funnel. This section shows other important information such as CF Affiliate information, Utm source, Utm medium, etc. As you can see from the examples above, this particular contact hasn’t made any purchases or joined any memberships to note of. Do note that this contact is fairly new. So if you want to study and analyse your market, you’ll want to do it further down your contacts list for it to yield some significant data. The Email List is another fantastic feature available to Actionetics. What it does is let you segment your contacts list according to whatever list you have in mind. Be it for marketing, lead nurturing, or whatever email list you want to create depending on the message you want to send. This is particularly important if you want to send targeted message to a set group of people in your contacts. Just like any other autoresponder, you’ll be able to build an email list for whichever product/service/campaign you want. A pretty regular feature you’ll find in any other autoresponder. Creating Email list is a breeze with the easy-to-use features. Simply Click Add New List. Enter the information asked, if available. In this case, only the Email List name applies. Upload your .csv file with your contacts and their information and follow the instructions. Aside from importing contacts to your email lists, Actionetics also lets you download your individual email lists into .csv format allowing you to duplicate your email lists or create different email lists with the same contacts. 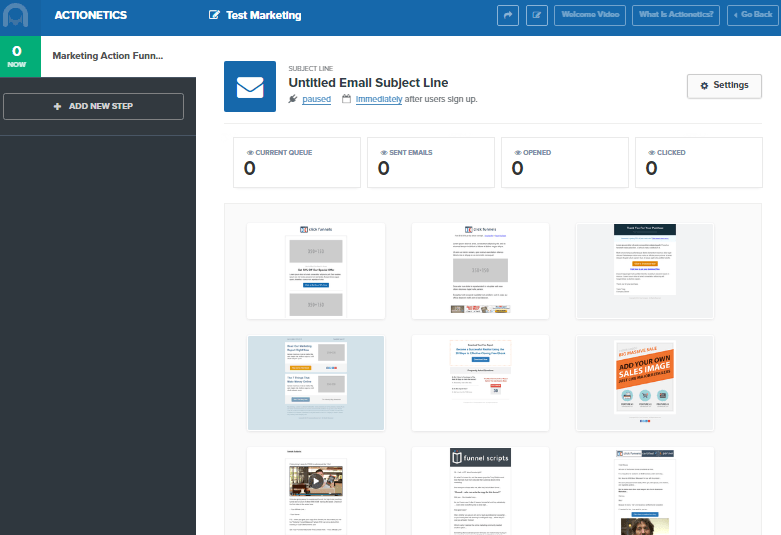 What’s an email marketing tool without the function to create and send out emails, right? The Broadcasts section does just that. Here, you can create, send and schedule when to send an email without any difficulty. As with the other features of Actionetics, the Broadcasts section also boasts of a user-friendly UI making it easy to do your tasks without fail. The Broadcast dashboard displays simple metrics such as number of emails sent, number of clicks and unsubscribers on a given number of days (last 7 days, last 30 days, last 2 months, this year, all time). There you will also find the list of sent emails, broadcast drafts and it’s where you begin creating email broadcasts to send. All you have to do is to click the New Email Broadcasts button. You will be directed to another page to start creating your email broadcast. Enter the information asked and choose from the selection of templates. Populating the email with content is also made easy! 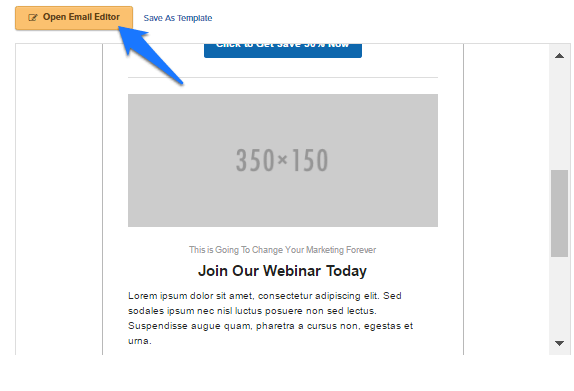 Once you’ve chosen the template to use, click Open Email Editor. If you’re familiar with ClickFunnels then adding content such as text, images, videos, headlines, etc. to your email is similar to the process of building a funnel step. Simply click the elements you want to edit and add your content. And a menu of elements to choose from will pop up. Once you’re satisfied with your email, click Save and Close. It’s that easy! Remember to test your email first before sending it out to make sure everything is in order. Just these simple steps show how user-friendly UI is and how even beginners can create their own email broadcast with ease. For non-tech savvy people, the support chat is always a great help with the people from ClickFunnels always there guide you and answer your questions. I’ve got to say, coming from other autoresponders and marketing automation tools like ActiveCampaign and Infusionsoft, the Actionetics email editor is one of the best I’ve ever used. I’m a big fan of the regular editor so the fact it uses the same functionality for the editor itself is a massive plus. The Action Funnels has got to be the cherry on top when it comes to Actionetics‘ whole suite of features. This is where most of the automation processes is set. To create an action funnel, all you need to do first is to head on over to the Actionetics menu and from the dropdown menu, choose Action Funnels. Next is to click New Action Funnel. A box will pop-up and prompt you to fill in the information asked. In my case, I just added the name of the Action Funnel and chose the Email List to assign to this Action Funnel. Remember to set the configuration as well. I chose default. Click Create Action Funnel when you are done. A newly created Action Funnel will look like this, at first. As you can see, it hasn’t been populated with action funnel steps. Now that a new Action Funnel is created, it’s time to add steps to the action. We’ll start by clicking the Add New Step Button. After that, you will be asked to set the name, the number of days or hours to begin the action and the type of trigger (Send Email, TXT message, Do Action). When you’re satisfied with the settings, it’s time to click Add New Funnel Step. In this example, we’ll use the Send Email trigger. 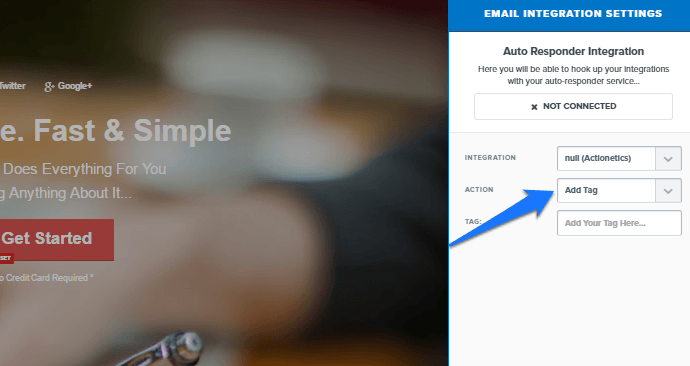 Clicking Add New Funnel Step will enable you to start creating your email. You will be asked to choose from a selection of templates, create an email subject line, and edit the settings accordingly. If you want to see how a template looks up close, all you have to do is hover your cursor over a template and click Preview. Once you’ve chose the template you want to use for your email, you can go ahead and populate it with content. The process is similar to creating email broadcasts on the Broadcasts section so this task will be fairly easy for you if you’ve already started creating broadcasts on the said section. TIP: Don’t forget to change your setting from paused to live. Click on the word “paused” just below the email subject line. Change the settings from paused to live in the dropdown menu. If you’re looking to create TXT messages as triggers, you will need to integrate your ClickFunnels with Twilio. If you choose a “Do Action” trigger, this will require a different kind of setup. After naming the step and choosing Do Action as a trigger, click Add New Funnel Step. You will be redirected to this page. Click Setup Now. You will be shown a popup where you can setup the action. You can change the Action Name which will be for internal control purposes only. You will also be asked to choose the integration, the action to do and which email list this action will be triggered by who. Now, these actions can be triggered and filtered according to rule groups. There are various available combinations for rule groups in Action Funnels, all categorised into seven different groups. You can designate different custom groups for every step in your action funnel. In one action funnel step, you’ll be able to create multiple rule groups which makes up a Custom Group. The first on the list is the Social rule group. This rule group filters actions according to the number (greater than, less than, equal to, etc.) of followers OR following of a contact on a given social media platform. The Social rule group also includes a wide selection of social media platform to choose in filtering who receives an action. Next on the list of Rule Groups is the Contact rule group. This rule group filters who gets to receive the action based on specific information in their contact profiles. Next up is the Funnel rule group. This rule group filters who receives an action based on whether a contact has visited a specified funnel (or not). The Product rule group filters which contacts receive an action based on whether a contact has bought a specified product in the funnel. The Broadcasts rule group filters who receives an action based on certain actions met concerning email broadcasts. These rule groups are a great automation feature should you want to send targeted marketing messages, whether email, SMS or voicemail. You can also create, send and target who receives follow-up or reminder emails. The second from the list on the list of rule groups is the Lists rule group. This rule group filters who receives an action based on the email list the contact belongs to. The last of the rule groups is the Email Step rule group. This rule group filters according to whether a contact performs a specific action on an email sequence. Now, you might get confused about the Broadcast rule group and the Email Step rule group. The Broadcast rule group is more on a single email broadcast as to the Email Step rule group which concerns more on particular steps of a sequence. For every action funnel step, you are not limited to just one rule group. You have the ability to customise the conditions set and create your own Custom Group by group together various combinations of rules. In summary, if you want the most bang for your buck, Actionetics is one fantastic candidate to add to your considerations of marketing tools to use. It’s ability to integrate to ClickFunnels funnel building properties and Backpack’s affiliate marketing platform seamlessly without any frills or hassle is something most marketers will appreciate. I guarantee it. As you can see, from my experience and from the examples above, the main selling point for Actionetics for me is its fantastic User Interface. If there’s one thing that pleases me the most when it comes to marketing platforms is the thought and care of developers to make the process a whole lot easier for marketers. After all, it’s what they are for. To make things easier for us. I also appreciate the fact that everything I need is in one place and there is no need for me to log in to multiple platforms just to set up my marketing. If you’re looking to keep everything under one hood, Actionetics is your best bet. No complicated setup necessary! Someone from Rome built a funnel 51 minutes ago. Someone from Trikala built a funnel 35 minutes ago. Someone from Bolton built a funnel 33 minutes ago. Someone from Liverpool built a funnel 8 minutes ago. Someone from Debrecen built a funnel 56 minutes ago. Someone from Perth built a funnel 21 minutes ago. Someone from Jackson built a funnel 52 minutes ago. Someone from Columbus built a funnel 55 minutes ago. Someone from Bristol built a funnel 39 minutes ago. Someone from Dallas built a funnel 43 minutes ago. Someone from Springfield built a funnel 5 hours ago. Someone from Auckland built a funnel 4 hours ago. Someone from Glasgow built a funnel 8 hours ago.